In a few weeks I am co-hosting (co-throwing?) a baby shower for a dear friend of mine. 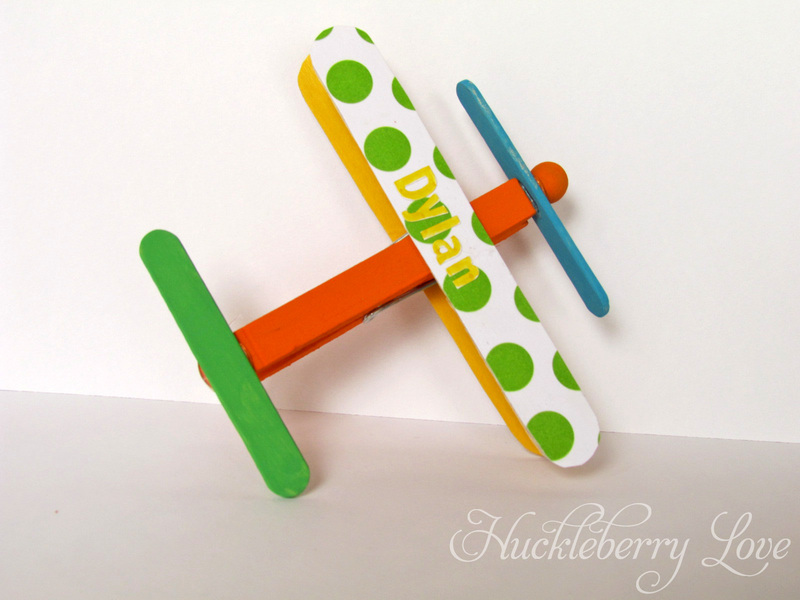 The theme for her sweet baby boy's nursery is "air travel". Think airplanes, helicopters, umbrellas, kites, etc. I am in charge of the decorations for this little soiree and wanted to incorporate that theme into her party. 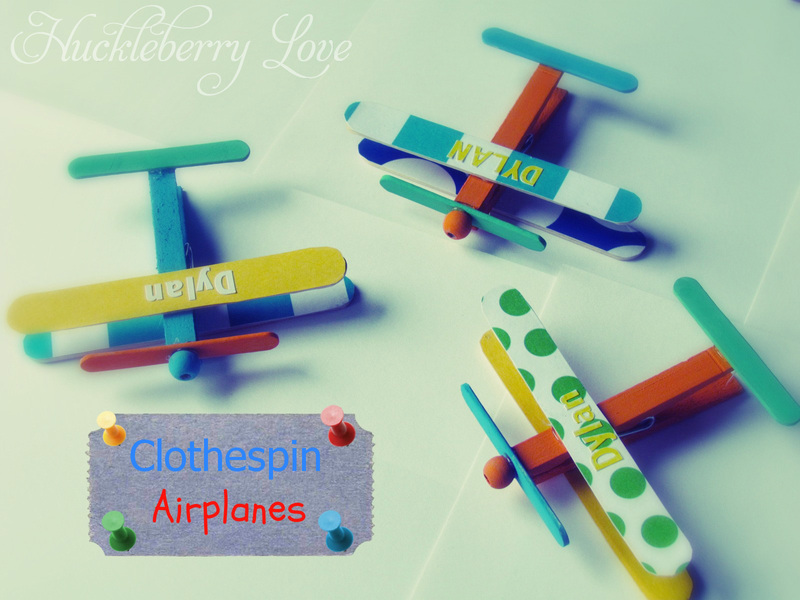 As I was wracking my brain and browsing Pinterest, I came across these adorable little clothespin airplanes. They were used for birthday party favors, but I knew they'd add the perfect touch to her party décor. 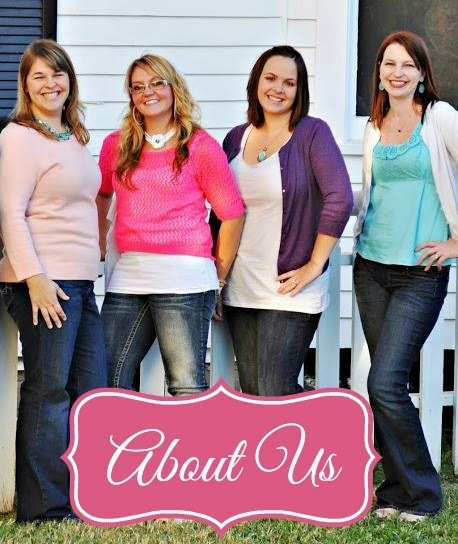 I created mine a bit differently, to give them all their own unique, yet personal, look. Here's how to make your own! 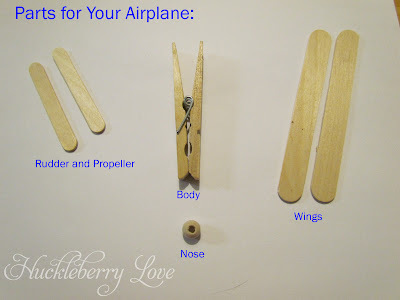 While your clothespins are drying, you can get started on the "wings" of your planes. Using a pencil I traced the larger craft sticks onto scraps of craft paper. I then coated the sticks with a thin layer of mod podge. 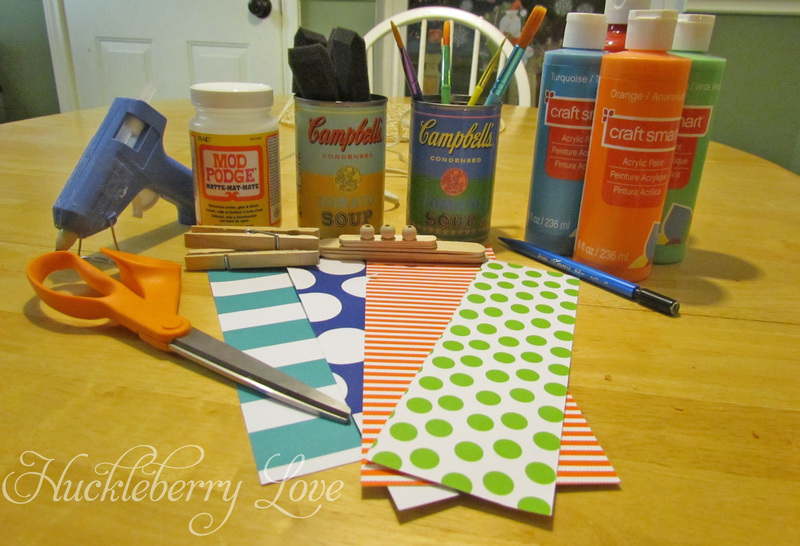 Press the paper firmly onto the mod podge, then apply a thin layer on top of the paper. Let dry. You can then decide if you'd like to paper or paint the smaller craft sticks. These will act as the rudder and propeller of your airplane. It's up to you! I ended up painting mine, again using orange, blue and green. 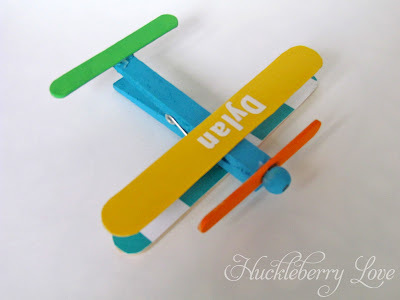 Once everything is dry, you're ready to assemble your planes. Place the closing mechanism back into the clothespin. Then hot glue the wings, rudder, propeller and nose onto your clothespins. 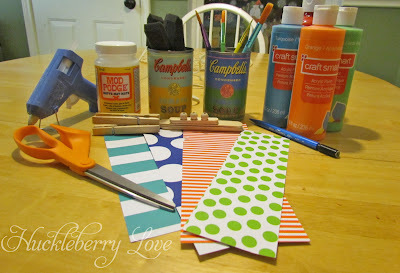 Stop by next week as I share more decorations I'm making for this special day! Have you hosted any baby showers lately? What theme did you incorporate into your party? 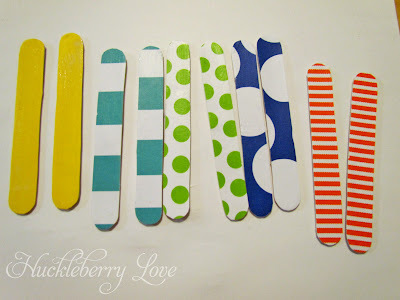 This is an adorable project and will make a great shower decoration. 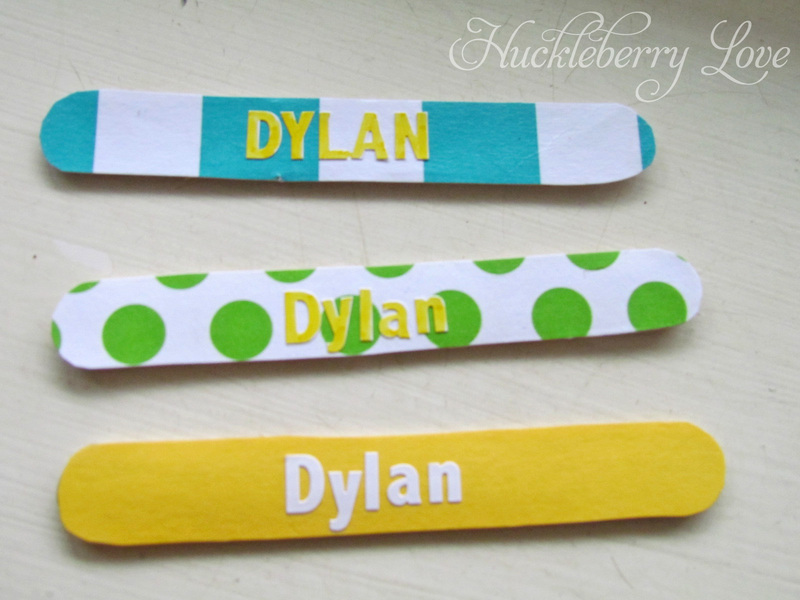 It would be a fun craft to do with older kids, too! OMG those are so stinking cute! I know, right? I kind of want to keep them for myself! Such a cute idea! Very inspired.